The upcoming Consumer Electronics Show 2011 would be flooded with tablets as companies gear up to release their share of tablet computing, marking the real trend of the tablet-era. Even though Apple is the pioneer in bringing tablet computing to real life, with the launch of the iPad, different tech firms have been busy developing gadgets which may fade sales for the Apple product. Stream TV Networks issued a press release, announcing expansion to its eLocity product line and the 10-inch eLocity A10 line of mobile tablets. The complete product range would be showcased at CES on January 6th, 2011, which would also detail the specs. 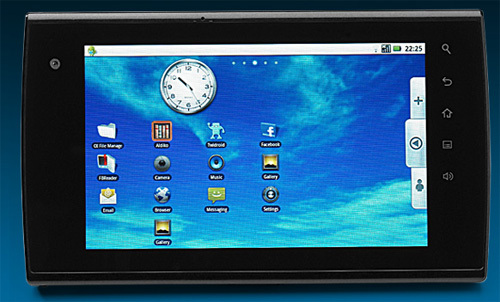 Moreover, the new 10-inch eLocity tablets would be powered by the Flash-enabled Android 3.0 (Honeycomb) OS backed by the NVIDIA Tegra 2 processors. The tablets would roll in ample storage space unlike others with front facing cameras and HDMI outputs. According to a source, the new eLocity A10.1, A10.2, A10.3, A10.4, A10.5, A10.6 and A10.7 models would deliver the highest screen resolution compared to other mobile tablet categories. The tablets would be available for pre-order from 17th at MicroCenter, Frys, Sears, Newegg,Walmart, bjs, TigerDirect, and Amazon. We’re pleased to introduce our new mobile tablets in time for CES. These additional models will make the A Series tablet line more robust and provide consumers with more options to suit their varied needs, while addressing skyrocketing demand for tablet computing solutions.